Have you fallen in love with our beautiful red pandas? Or do you know someone who would? Sponsor a red panda at Drusillas today! When you adopt a red panda you help us with our animal care and conservation programmes. 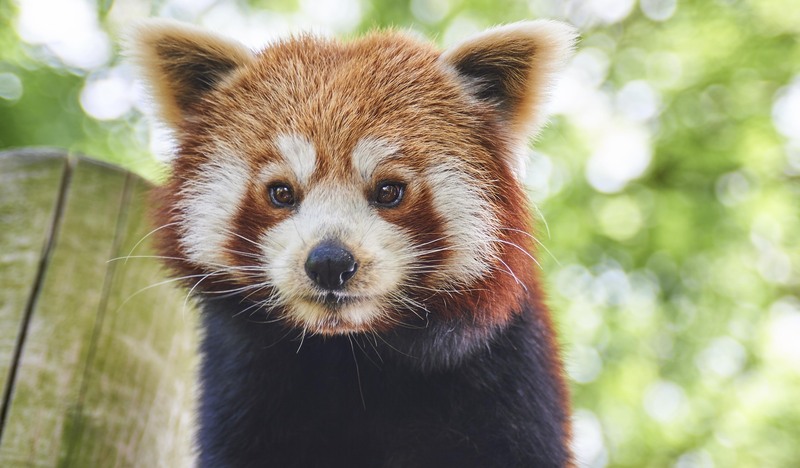 To adopt a red panda, first decide if you want to adopt either Mulan or Anmar – make sure you take a quick look at our list of Animals to Adopt. Once you have selected the red panda you wish to adopt please download and complete the Adoption Form. Then either post the form back to us or email it to us at [email protected]. Alternatively please come and visit us in the Visitor Services Office opposite the Park Entrance. Our adopt a red panda gift packages are ideal for an unusual gift or as a work, school or group mascot! With almost 400,000 visitors a year a corporate red panda adoption would give your company the unique opportunity to advertise your services or products on a plaque alongside other current adopters and will show your support of Drusillas and the valuable conservation work we undertake. We have two corporate adoption schemes which start from £100 and include a minimum of four complimentary entry tickets. Please email us at [email protected] for more details. Two gorgeous red pandas have made their home at Drusillas. Mother and daughter team, Mulan and Anmar, can be seen throughout the day either curling up in their big bushy tails and taking a nap, or scouting about for bamboo. For a truly amazing gift, sponsor a red panda today! Red panda adoption packages are available from £45. Please click the link for more details on price and a full list of Animals to Adopt.